A Cardiff street is set to be the new home of one of Wales’s most advanced hearing centres. 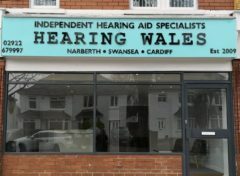 Hearing Wales’s Cardiff hearing centre is opening on Pantbach Road in Rhiwbina on Monday 21st January. “Hearing Wales has been established in Swansea for a decade and we’re determined to bring our commitment to clinical excellence and individually-tailored care to Cardiff. Since starting operations in 2009, Hearing Wales opened a clinic in Narberth last year and with the Cardiff hearing centre added to the group they now employ 15 people, with 8 of them coming on board within the last year alone. And with recent research indicating that using hearing aids can protect against dementia, there has never been a better reason to get your hearing checked. Especially as hearing tests are offered free of charge. “Gone are the days when people with hearing loss had to put up with huge models, which left the user struggling in difficult acoustics or with background noise.